On Sunday North Carolina fell short to third-seeded Iowa State at the NCAA tournament entered the men’s NCAA tournament. With the game tied in the final 10 seconds, Iowa State’s DeAndre Kane drove the ball to seal the win. (85-83 Cyclones). North Carolina entered the tournament seeded number 6 however, the Tar Heels leads the entire college basketball league with their social media following. 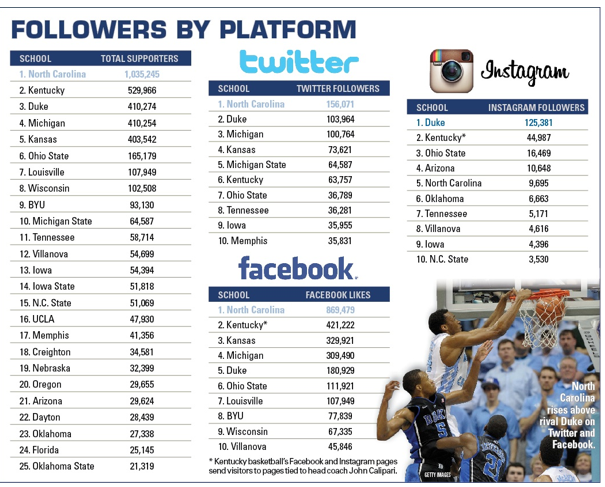 The Tar Heels have over 1 million supporters on Facebook, Twitter, and Instagram combined. Below you can take a look at the amount of followers North Carolina has by individual platform. Duke, a long standing basketball powerhouse trails the Tar Heels on Facebook and Twitter. Now, that we know the Tar Heels lead social media. Let’s take a look at what content they are posting. In this tweet below the Tar Heels created a gallery from the last game of the season (losing to Iowa State). This provides a treat for the 1 million+ followers, because it sends the message “Hey we lost but lets celebrate our run!” That is the engagement the Tar Heels have mastered, no matter win or lose they will provide some exciting content for their fans and that’s what keeps they following! Go Tar Heels ! ! ! Who didn’t get a little depressed after watching the NCAA Men’s Basketball Tournament this past weekend? In the first weekend of March Madness there were 13 upsets, 14 games decided by five points or fewer, and five games that were sent to overtime. So much for winning $1 billion from Warren Buffet. Face it. You were a little like this poor fella, right? Most people didn’t get the air time to display their despair, but thousands took to Twitter to vent using the hashtag #MarchSadness, a topic that eventually hit “Trending” popularity. They even put into perspective how much you lost. Really got you thinking about all that food, huh? KFC used the hashtag over 50 times during the course of the weekend, interacting with people in the same consoling fashion. They owned the hashtag, using fried chicken’s status as one of America’s top comfort foods as the cure to a nation-wide disheartening. As the Madness heads to the Sweet 16 Friday, other ad campaigns will have to get creative to catch up with KFC. Already a weekend behind, they will have to find a new trending hashtag. Social media has become an integral part of every major sport in the last few years so it is important to look at which leagues are using it effectively. Like the other three major leagues, Major League Baseball has become largely involved in social media and attempting to encourage its use among its fans. This has happened through the creations of Apps such as MLB At Bat which allows fans to follow games as they happen live and utilizes message boards for the fans to discuss popular topics. Twitter has also become very popular among major league teams and every team has an official team twitter. Leading up to opening day last year, teams were tweeting multiple times per day in an effort to get their fans enthusiastic about the new season. The American League has been more popular than the National League in terms of twitter usage. Additionally, the New York Yankees have done an especially commendable job of attracting social media followers and they have millions between their Facebook, Twitter, and Instagram accounts. Other sports have better highlight reel in-game material than baseball but overall baseball has used the available platforms in a positive way and I believe it has helped their product overall. Much has been made about Kobe Bryant tweeting during the playoffs, but little do people know, he was just copying someone else. In fact, Zaza Pachulia took it much further than that – he took over the Atlanta Hawks Twitter account @ATLHawks. The Hawks announced two days before the playoffs that injured star Pachulia would be tweeting from their account, while Bryant announced he would be tweeting from his own account the day after that. While the debate of whether Bryant’s tweets (many of the critical of the team) are distracting will go on, Pachulia’s actions weren’t as controversial. This is probably because he isn’t in the limelight of Bryant’s fame or LA’s notoriety. Though he did offer critique like Bryant, he wasn’t scrutinized. Everything seemed to work out as planned. Pachulia offered good insight to the Hawks and their followers. He also answered questions and retweeted fans. This allowed for fans to relate to him as a player. Their goal to be interactive during the game paid off. Pachulia used the opportunity to market himself and gain followers from the Hawks fan-base and the team used his celebrity to drive their social media engagement and get new followers from the creation of the unique content. Black mambas look pretty cool, but their venom and aggressive nature make people keep their eyes on it while being offended of it. 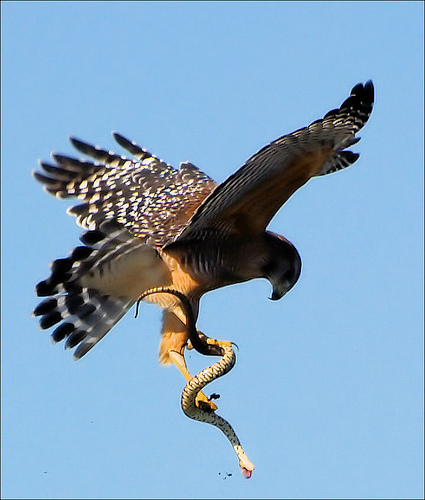 Hawks just go about their business and while they are aggressive and eat snakes like that, they’re no threat to us and they still look cool. “Didn’t he die in the next chapter Mrs. Williams?” Imagine a kid in your elementary school class blurting out the ending to a book you’ve been reading in class, just so he could act like a know-it-all. That’s how I used to feel during the NFL Draft in years past. I absolutely hated it. If all books had their endings on their covers, no one would read them, which was how the networks felt. 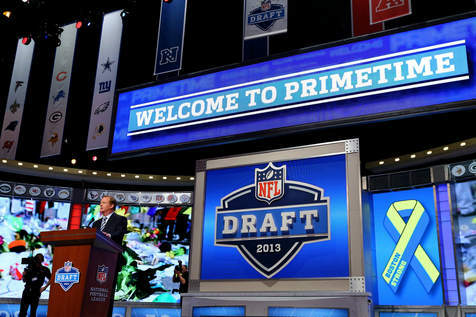 ESPN and NFL Network agreed to not tweet the picks for the NFL Draft prior to the Podium announcement. “Our fans have told us they would rather hear from the commissioner and I think it is a better TV show when we speculate and let the commissioner do it,” ESPN NFL senior coordinating producer Seth Markman said. Yes, someone that doesn’t want to be tipped off and doesn’t care to get the news as soon as it’s available could simply not look at Twitter, but it’s difficult to ignore the people that did read the tweet. Much worst, the on-air personalities often caught wind of the pick and told the audience ahead of the Commissioner’s announcement making it just a formality and a waste of time. The broadcast also seemed amateur with the on-air talent just looking like know-it-alls disclosing the spoilers. The networks weren’t just listening to the fans and giving them what they wanted, they had their minds on their pockets too. They probably figured that they could get more viewers if they could get those wanting to be the first to know who was drafted to watch their televisions instead of watching their Twitter feeds. They wanted to maintain their precious ad revenues and sub-fees. It was speculated that because there were no major names and personalities in this draft to engage an audience, like the quarterbacks taken in last year’s draft, ratings would take a hit. However, this wasn’t the case. The networks’ strategy of getting people to watch their broadcasts probably paid off here. The two networks combined to average 5.9 overnight Neilsen rating on the first night of the draft, which tied last year for the second best overnight on record for the draft. In the end, the fans were happy, the networks were happy and the know-it-alls were embarrassed and angered when they were told to zip their lips. Earlier today, XFINITY announced that Tupelo, MS native Vance McCullough had won their Ultimate Sports Social Media Job competition. Vance will now serve as the voice of XFINITY’s social media, “sharing exclusive content and insights from the @XFINITYSports Twitter handle, with a fan reach of 17,000+ followers.” Some of this content and insights include live tweets from the biggest sporting events, firsthand interviews with notable sports personalities, and several others. Until now, I was completely unaware that XFINITY had a designated sports media department, as well as this competition. But I think this a great idea! 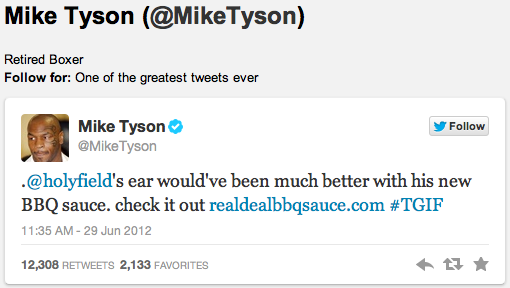 Not only does the competition generate buzz around their Twitter account, but also around their brand as a whole. For instance, when someone realizes the advantages of using XFINITY for sports coverage, he/she may be influenced to seek the use of other XFINITY services, such as its Home Security System or its High Speed Internet. I wouldn’t be surprised if other companies began to follow because competitions like this can only benefit a company’s brand, as well as people looking for jobs. What do you think? Who are the Best Athletes to Follow on Twitter? Out of pure curiosity, I decided to Google search, “who are the best athletes to follow on twitter?”, and I found many results. I clicked the first link since it was the most recent (January 10th, 2013), which brought me to an article titled, “Power Rankings: The Best 100 Athletes to Follow on Twitter.” The article emphasized the top 10 athletes by showing an example of their tweets, then it merely listed the other 90 athletes. One of the first thing I noticed was that under each athlete’s name read the words, “Follow for…”, providing a reason to follow them, which made me think of how different athletes use Twitter in different ways. For instance, one of the top 10 athletes Chris Kluwe, kicker for the Minnesota Vikings (I know, I didn’t expect that either) said to be followed for “activism, nerdiness, entertainment from an NFL punter,” while Tom Crabtree of the Green Bay Packers said to be followed for “live-tweets when he watches House Hunters.” Jose Conseco is followed for “deep thoughts.” Michael Strahan is followed for “a positive outlook,” and Mike Tyson is followed for being “one of the greatest tweets ever,” and so on and so on. I think it’s interesting that these athletes, whether still active or retired, are able to be categorized as certain type of “tweeters”, helping them reach specific target audiences that other athletes might not connect with. As Twitter continues to grow, it will be interesting to see whether these “top athletes” change or remain the same.